With news that Dragon Ball Z was going to be remastered and colored this year we thought that they migh thave forgotten about the original Dragon Ball series. Fear not it’s already been full colored and released in Japan. 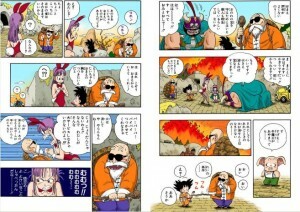 The news came out this week that all sixteen chapters have already been released in Japan in full remastered color. They are only available in digital form at the moment and available thought the Japanaese Kindle store only. At the moment it looks like the powers that be have been hard at work to bring us all this awesome new Dragon Ball stuff. I wonder what the rest of the year will bring.